What allows some groups to just ‘nail it’ and others to struggle? 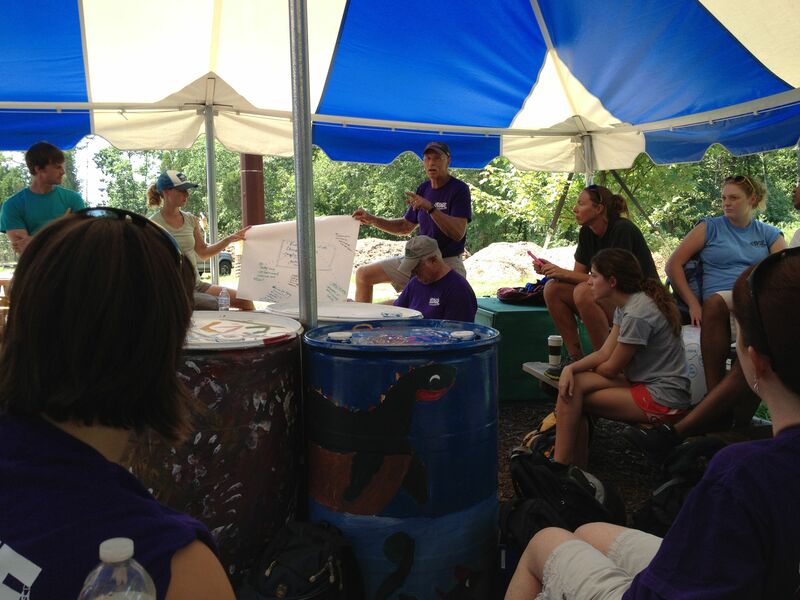 Earlier this week I had the opportunity to lead a group of truly outstanding young problem-solvers. This group was inquisitive, energetic, genuinely curious, and surprisingly cooperative. No one had ever seen the ‘Nail It’ puzzle before. No one had access to their smart phone to ‘google a solution.’ Instead, this group of 13 youngsters sat down around a stump and simply figured it out. Such days lift your spirit and remind me that there is hope for tomorrow’s problems to be solved creatively and cooperatively. (Political footnote) Yes, I too am upset with how Congress cannot reach a solution to reaching consensus around a continuing resolution and/or passing a budget. Furloughing civil servants and closing our National Parks isn’t an acceptable option. Hmmmm … I wonder if our elected representatives might learn from these youngsters by visiting a challenge course or a local school. I wonder sometimes if they smarter than a group of fifth graders. What would you do if faced with an attacker armed with a knife or gun? So why share this list here on this blog? Are you capable of making potentially life-saving decisions with but a moment’s notice? Just how fit, physically and mentally, are you? Are you comfortable with being uncomfortable? Have you learned how to quickly center yourself or take a team breath and then deal with life’s crazy challenges? In J. R. R. Tolkien’s Middle-earth fantasy novels we learn of the one ring that rules them all. While leading groups of students at The EDGE, I sometimes quote this verse and then use rings of ribbon to introduce the concept of CONSENSUS. 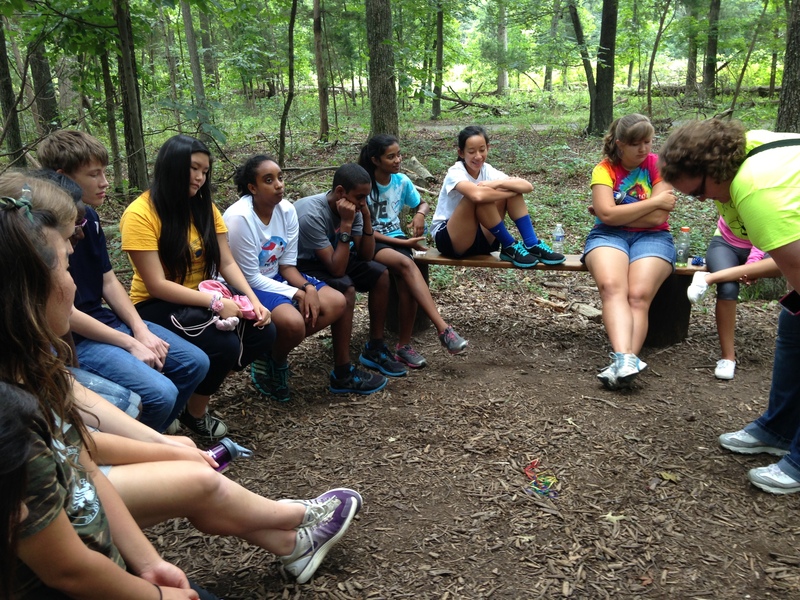 Here are a couple of photos from a recent challenge course program. 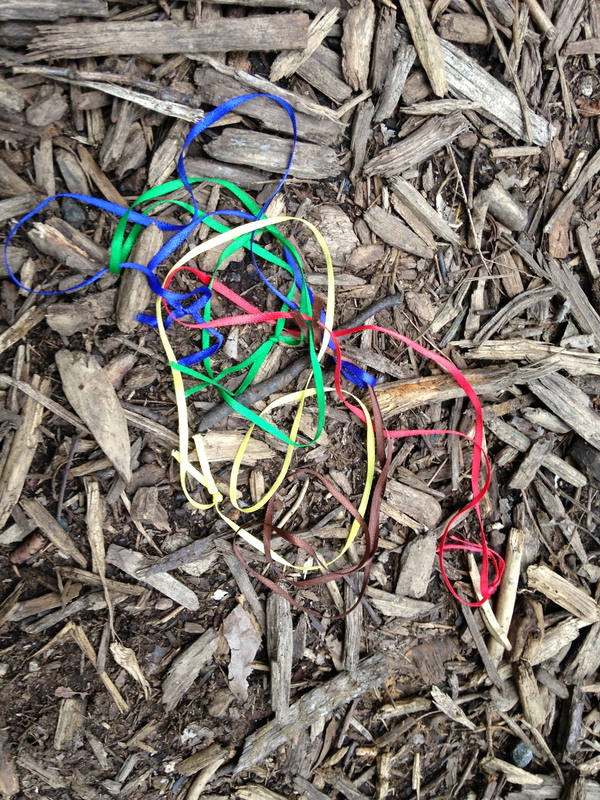 Students must examine the ribbons — without touching or disturbing them — and determine which color unites them all. That is, only one ribbon runs through all the others. Emerging student leaders from Lee High School’s International Baccalaureate Program are challenged to come up with their definition of consensus. This early agreement is then applied throughout the remainder of the day. Can you guess which ring of ribbon unites them all? Do post a comment if you think you know the right answer. We have the ability to create and alter our memories. 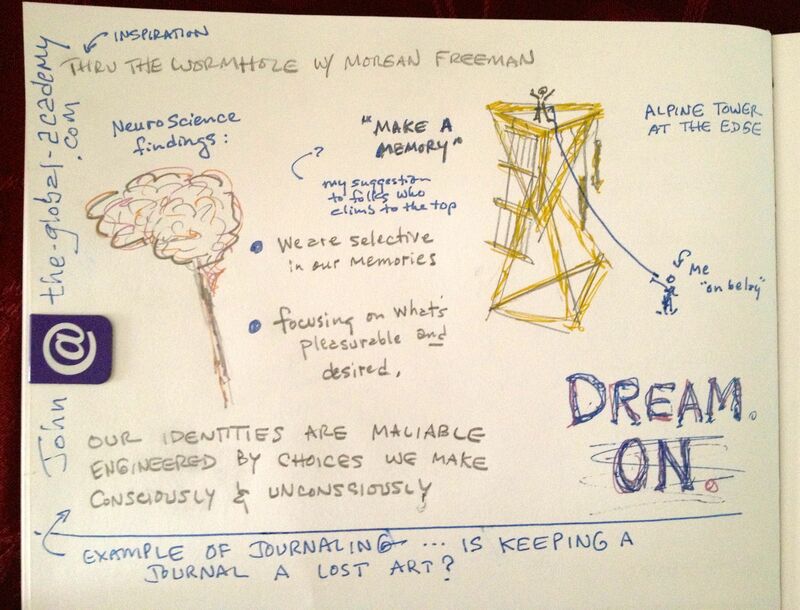 While watching an episode of “Through the Wormhole with Morgan Freeman” I found myself doodling. I do this from time to time to practice my graphic recording skills as well as help me remember ideas that need remembering. Sometimes my doodles are literal recordings and other times they are remote associations between what I see and hear versus what I’ve been thinking about lately. The sketch above falls in the later category. You can “connect the dots” if you wish. Please do comment if you too find ideas and concepts such as brain performance, brain training, and/or creative memory-making interesting. 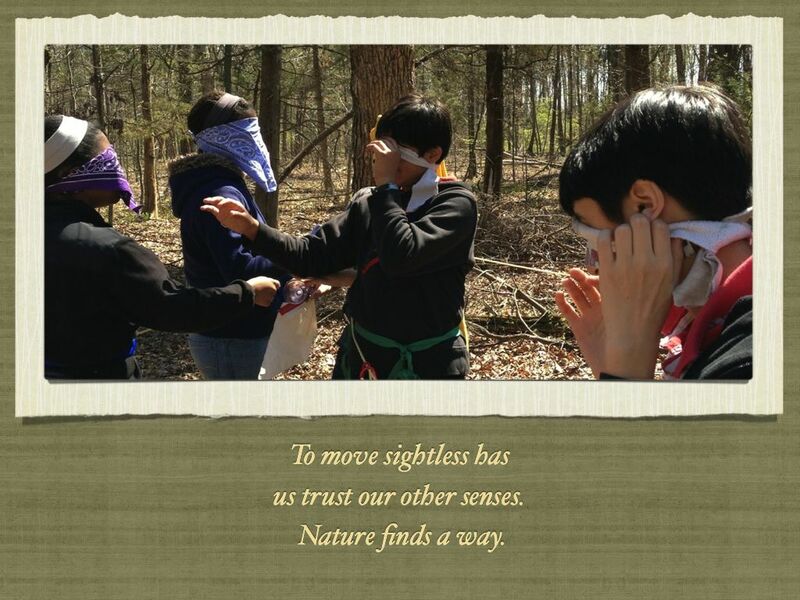 Students navigate the Blind Maze at the EDGE on April 13. The Alpine Tower is the centerpiece of the challenge course located at The EDGE. old and new train at the EDGE. 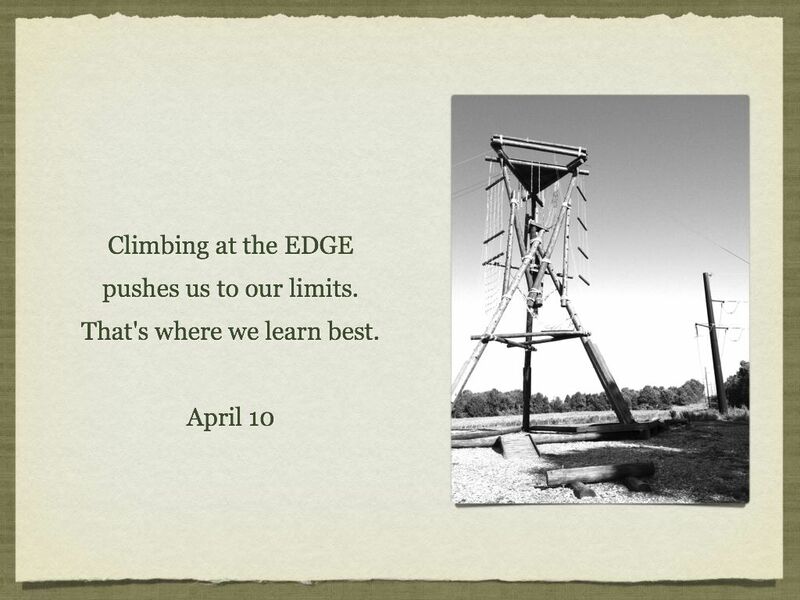 Below is a spring training activity for Challenge Course Facilitators at the EDGE. Today’s training at the EDGE started with a poem about Arabian Gazelles; deconstructed and rebuilt by the group as shown here. While scanning my e-mail over the Easter holiday, I learned that April is National Poetry Writing Month (NaPoWriMo). And since it’s also spring training at The EDGE — a time when the challenge course facilitators re-group to knock off the “rust” from winter break — I thought why not leave my comfort zone and try something new this season? 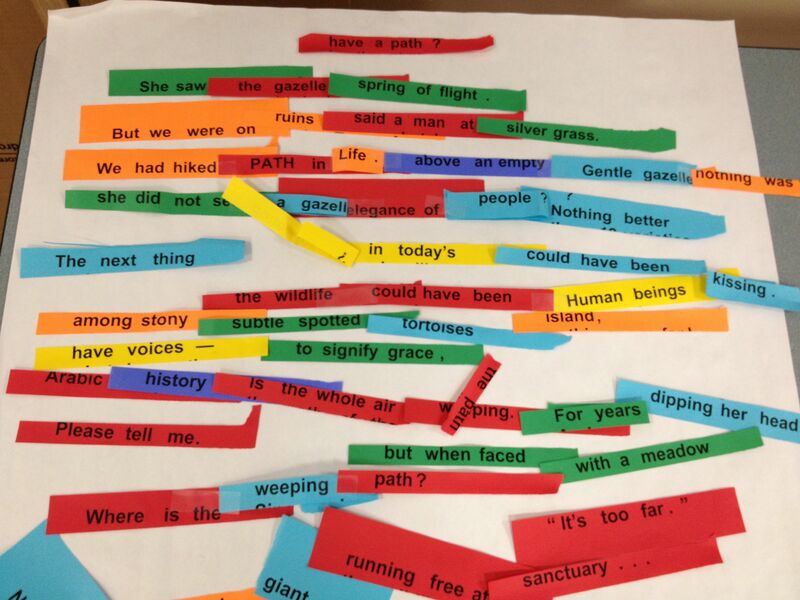 Why not write a poem (or two) during #NaPoWriMo? And why not start with something “simple” like hiaku? My fingers are cold, my thinking works through the rust. 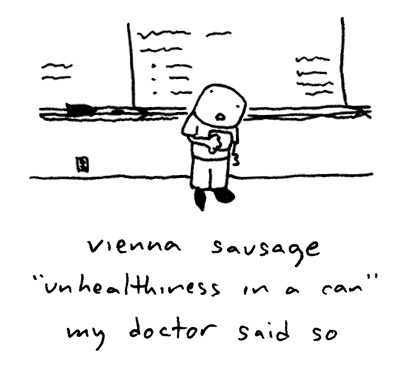 Spring brings new haiku. Daffodils emerge through Boy Scout supplied mulch. It is 2 April. 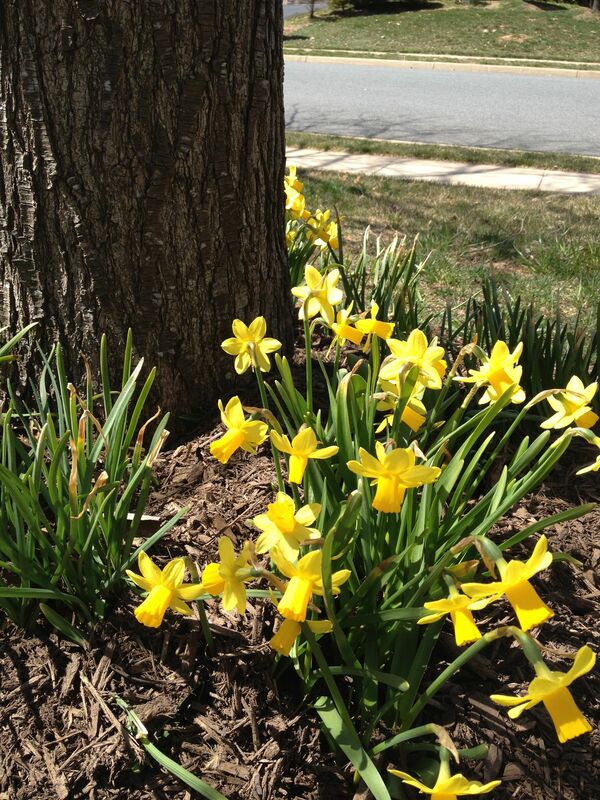 Daffodils emerge through Boy Scout supplied mulch. To assist folks leave their comfort zone and enter into their challenge or learning zone — this is the essence of experiential learning that occurs on a confidence course such as found at the Mason Center for Team and Organizational Learning (a.k.a. “The EDGE“). Of course the perceived stakes are higher (pun intended) when a group works through a high-ropes challenge. On belay! 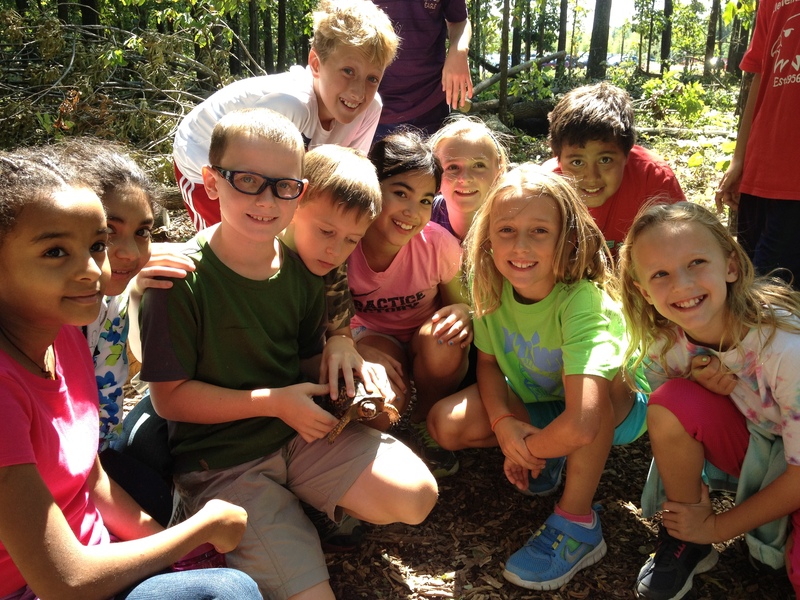 The “Turtle-Monkeys” (a group of 5th graders) save a box turtle that was hiding under the 360-whale watch and then apply their turtle- and monkey-inspired superpowers to complete their confidence course activity. 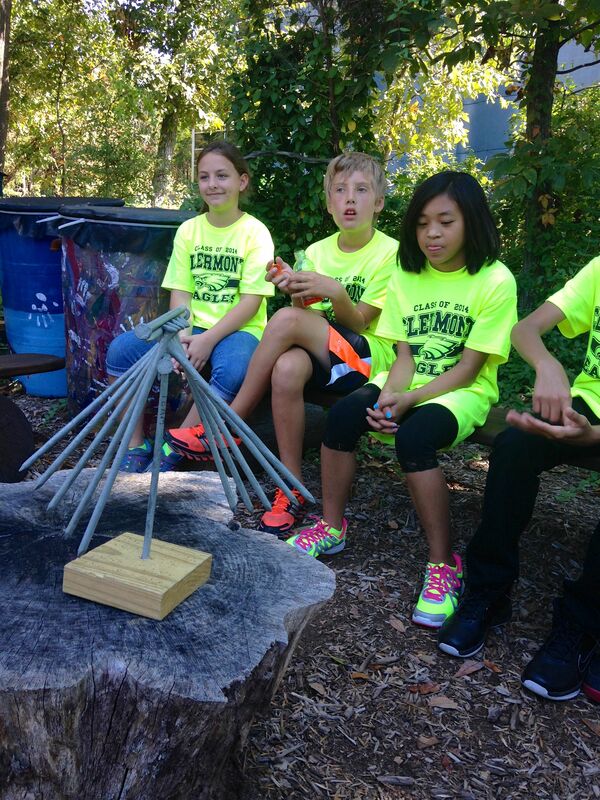 Some students were still like the turtle and others balanced like monkeys. 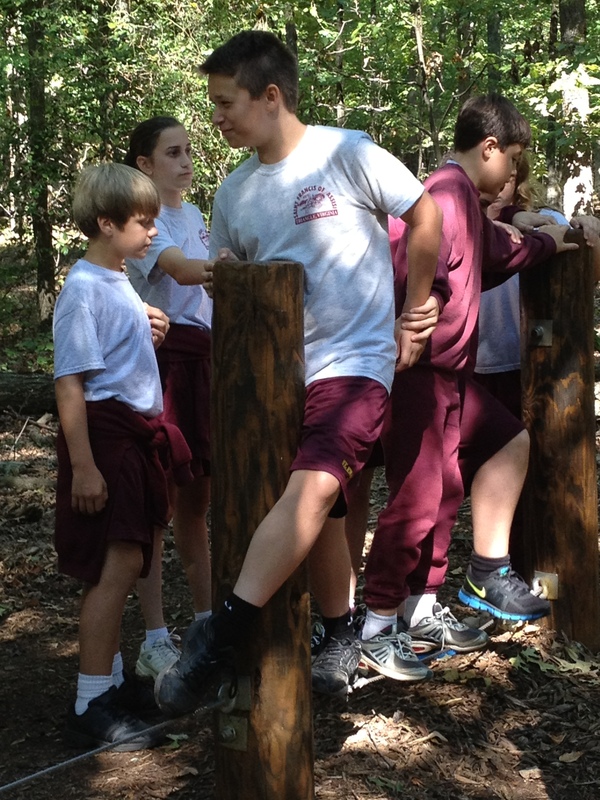 7th graders successfully navigate their way along the Mohawk Walk. First one must seek INSTRUCTION. 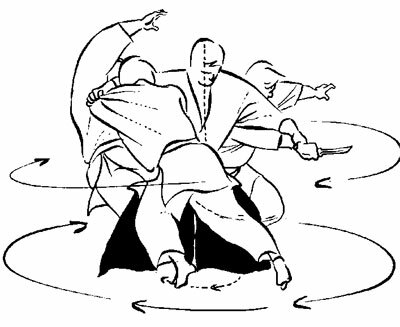 Secondly, we must PRACTICE, PRACTICE, PRACTICE. Next you must SURRENDER to the discipline. After that you focus on your INTENTIONALITY (a.k.a., working the mental game). And finally you “play” at THE EDGE. 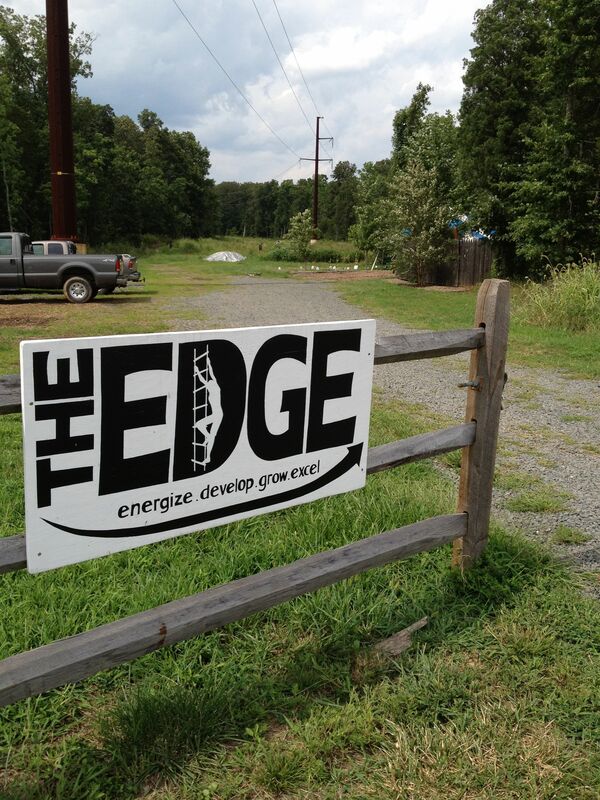 I’ve been in training at The Edge. It’s been awhile since I’ve been able to work out of doors, hike thru the woods, and serve as a confidence course facilitator. So if you or your organization are motivated to leave your comfort zone and enter into your challenge or learning zone, post a note below, send me an e-mail (John.Lesko@verizon.net), or give me a call (571-229-3246). 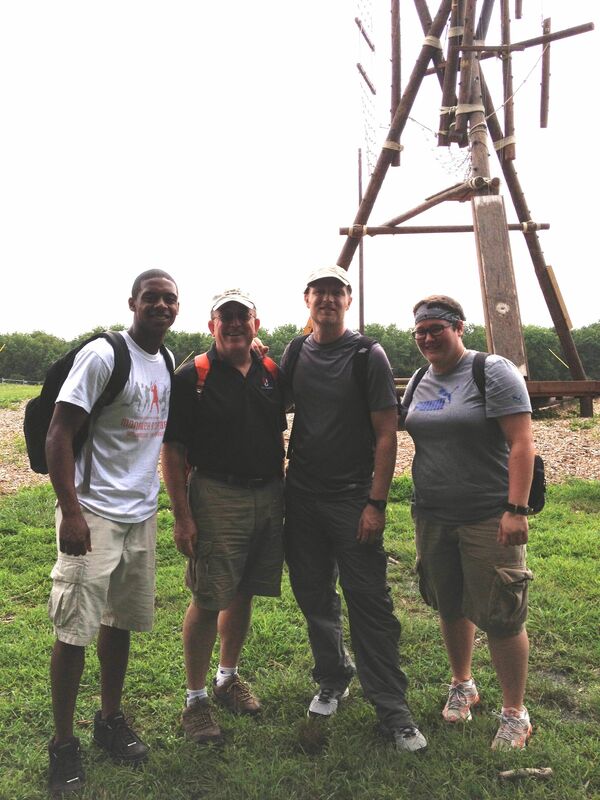 Four of the most recent nine Confidence Course Facilitators who’ve been trained at The EDGE’s “Alpine Tower” (a high ropes and team confidence course). Even the “class room” training is held out-of-doors!